I love coming here. It's actually a relatively short ride, but the steep climb makes it feel a little more accomplished. It's also often hot. How come a lot of the climbs in Marin have no breeze? Marya and I came up here once when the road was closed and it was just us and a family of wild turkeys. They can move pretty fast when they want to. 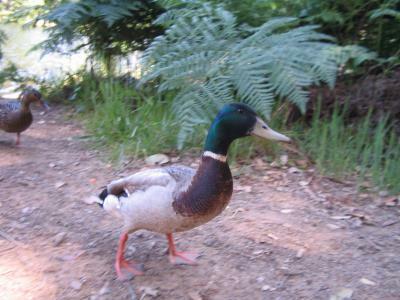 We often fire trail it around the lake and feed the ducks. We're thinking about fishing here someday, too.